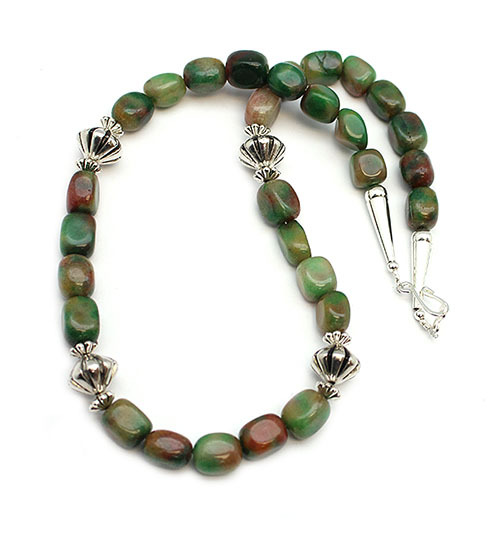 This necklace is strung with fancy jasper nuggets and pewter beads(1/2" wide) with silver plated findings. It measures approximately 20" long and is strung by Navajo artisan Naomi Garcia. Currently only this one available.